The holiday season in Rhode Island is a special time of year. Thanksgiving football rivalries span decades, Christmas trees are tagged at local farms, and Rhode Islanders who have moved all around the world come home to celebrate with friends and family. 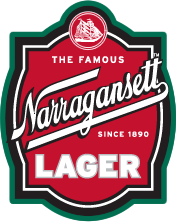 Narragansett beer has been part of the holidays in Little Rhody for five generations, and this year we’ve brewed a festive ale with cinnamon, nutmeg, cloves, and orange peel to toast the season. This beer is the smallest batch we have produced since our return in 2005, so it wont be on shelves for long! We only produced 470 cases and it’s only available in Rhode Island, so if you see it, be sure to grab it for a stocking stuffer!